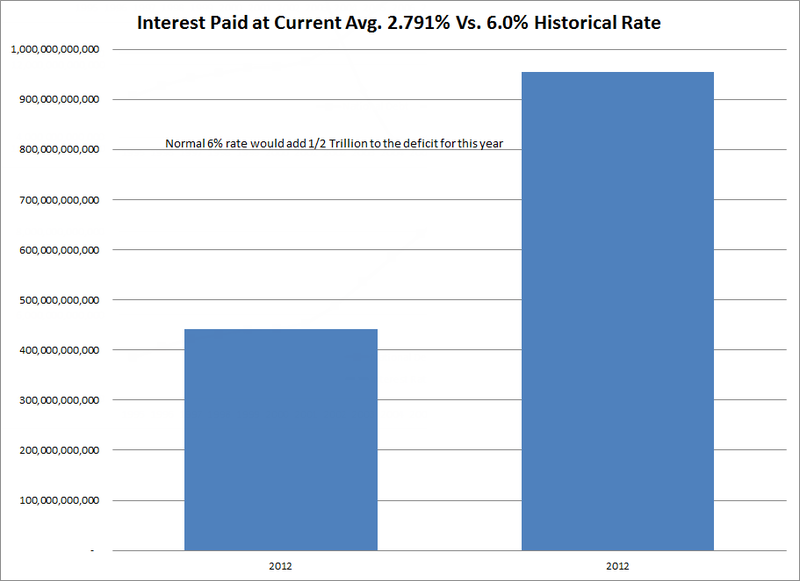 Here are a couple of charts from Tim Wallace regarding interest on the national debt. The first chart shows the interest rate is falling as debt skyrockets. How long can the trend last? How low will the rate go? I do not know the answers to those questions, nor does anyone else. 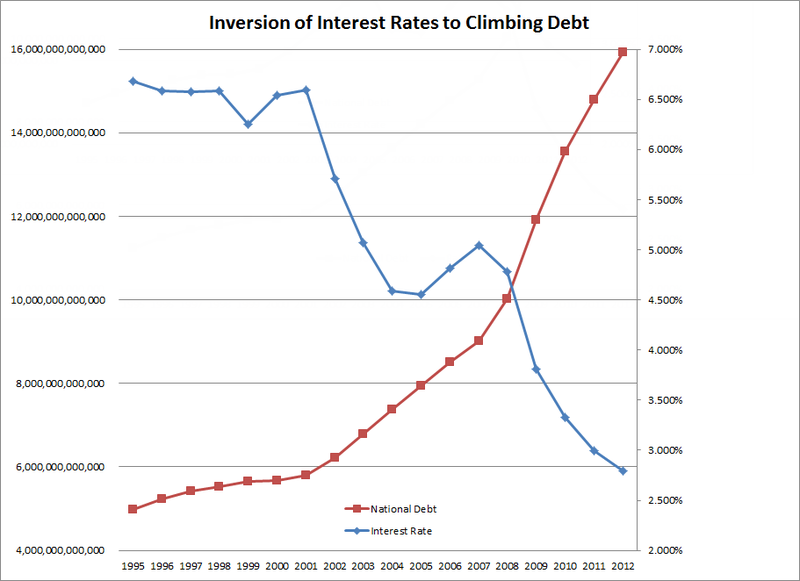 However, a rise in interest rates would cause a shocking increase in interest on the national debt. Should interest rates rise to the long-term average, interest on the national debt would more than double from the 2011 figure of $454 billion dollars. 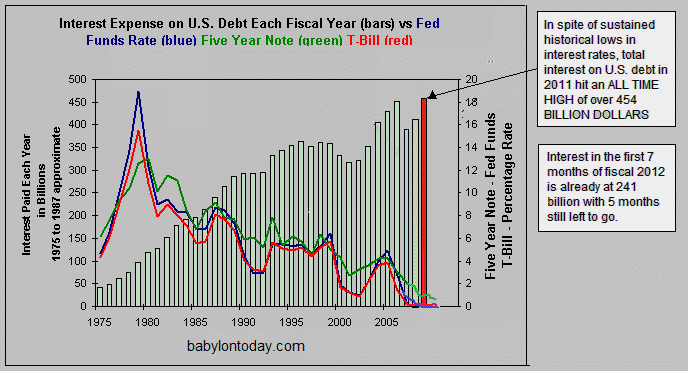 Here is a chart from the National Debt Clock site. That is an interesting assertion short-term debt is at .09%, 10-year notes yield 1.67%, and the 30-year bond yields a mere 2.79%. However, interest is on outstanding securities. A bond with a 6% yield maintains that yield until maturity. The average yield in Wallace’s charts paid comes from Treasury Direct. If you get the idea a crisis of some sort is coming, fueled by out-of-control deficit spending as well as the Fed’s ridiculous “Operation Twist Policy“, then you get the right idea. The Fed ought to be selling long-term bonds at these rates, locking in financing at attractive rates, not buying those bonds hoping to drive yields still lower. Of course, that latter statement assumes there should be a Fed or deficit spending in the first place, neither of which I believe.